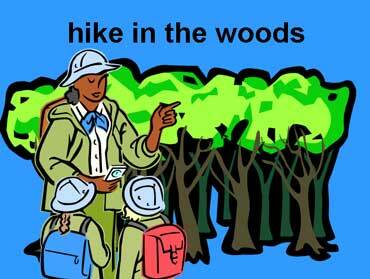 They are hiking in the woods. The man is riding a horse. 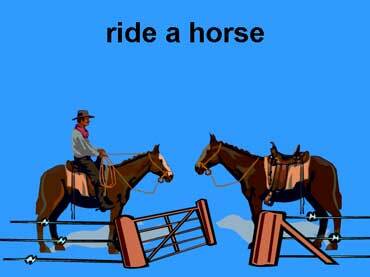 There are two horses by the gate. 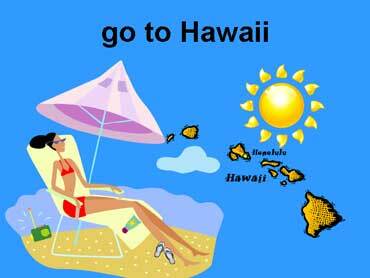 Some people go to Hawaii during the summer. This woman is relaxing on a beach in Hawaii.